Healthcare Business News | What Can Healthcare Learn From Baseball? Having grown up in Southern California as a life-long Dodger fan, it’s that time of year when I’m pulling for them to win the World Series. 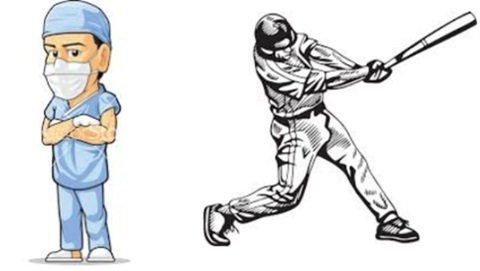 Having also spent over 30 years as a healthcare executive, I started thinking about how healthcare might learn from baseball. Are there correlations between major league baseball and the healthcare industry? As it turns out, baseball and healthcare systems have quite a bit in common, at least from a business perspective. First, they are both very slow to change and yet they must. They both have critics who want things to remain as they have always been. They have been locked into business models for decades with no real desire or perceived need to change. Baseball is the only business enterprise in the United States that is allowed, by law, to be a monopoly. Healthcare, while not a monopoly, derives over 50% of its revenues from the government in the form of Medicare payments. Only recently has baseball begun to be innovative in the approach to the game with defensive shifts and sabermetrics. Healthcare is still catching up to the needed changes in the industry and is beginning to look for new models that can deliver more cost-effective care. For decades both baseball and health systems have been risk averse and laser focused on statistics rooted in an old paradigm or model. Over time, both have had to find new ways to operate to survive and remain competitive. Healthcare is at least 5-10 years behind baseball in making the paradigm shift. Healthcare can learn from baseball!